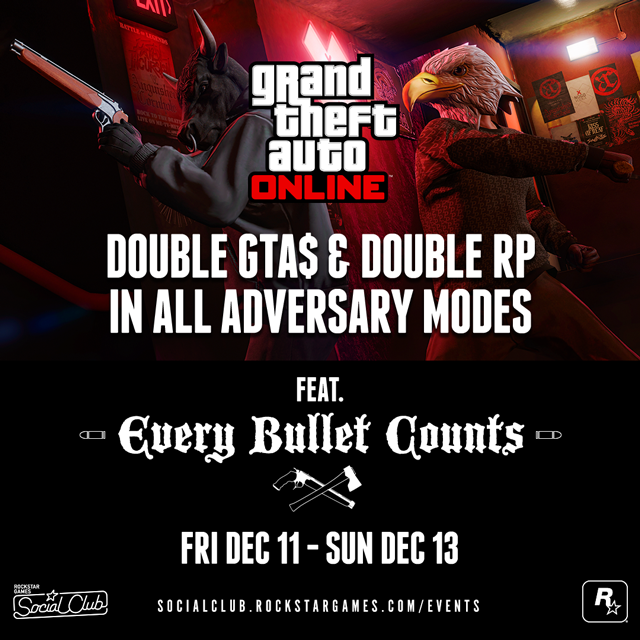 All this weekend Rockstar is doubling up your earnings of GTA$ and RP for every GTA Online Adversary mode, including the brand new Every Bullet Counts mode released earlier this week that pits four competitors against each other with just two bullets and a melee weapon to defend themselves. If you haven't had a chance to play it yet, there's no excuse not to get involved this weekend. You can launch the game mode directly from the GTAV launch screens via the Featured Playlist. 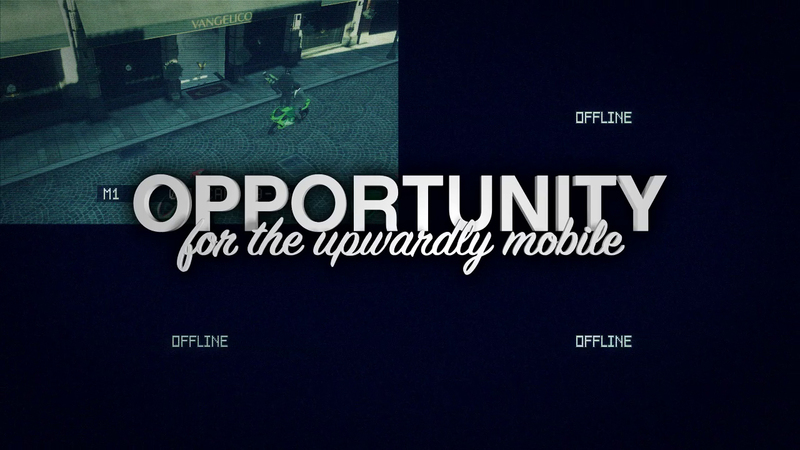 Double RP & GTA$ Adversary Mode Weekend - Take advantage of Adversary modes this weekend to earn double the RP and GTA$.